McCarthy & Stone is the UK’s leading retirement housebuilder, designing outstanding apartments in prime locations across the country for 40 years to suit all lifestyles and stages of retirement. Working with Lolly since the spring, we have just created their latest initiative; a Homeowners magazine to be distributed to 14,000 homes. The brief required the magazine to launch just in time for Christmas, so we popped our Santa hats on and got going. 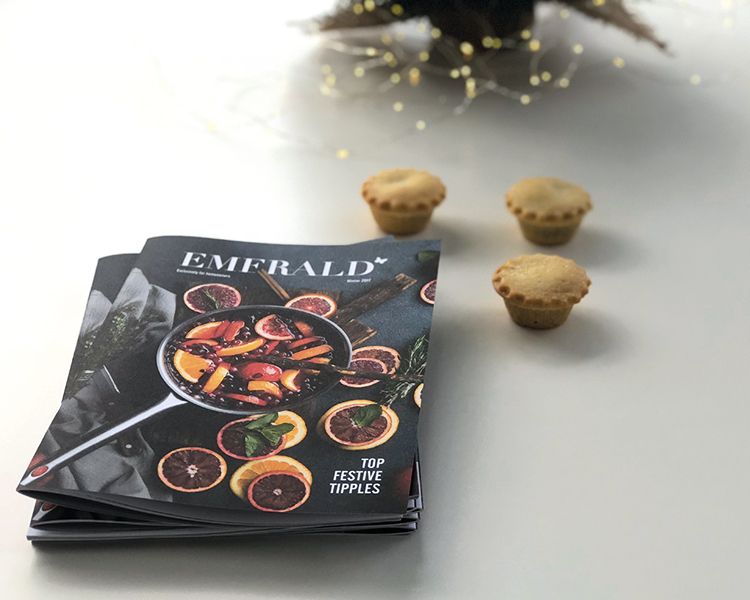 Emerald is a 36 page inspiring magazine for living life to the full and sharing the latest McCarthy & Stone news. With a sprinkling of festivities, features include winter getaways, a spotlight on Poundbury home to one of McCarthy & Stone’s developments, Homeowners stories, company news, book reviews, puzzles and competitions. There’s some winter warmer recipes to try, our top festive tipples to drink, a last-minute gift guide, places to walk, and lifestyle pieces to read such as singing your way to happiness. From brand concepts and naming the magazine to copywriting and the complete design, it has been a fabulously festive project for the whole office to get involved in. Now arriving on the doorsteps of Homeowners across the country, we are of course biased, but it is a lovely read in front of the fire, whilst tucking in to a warm mince pie.